Top 10 Places To Take Photos In The Seattle Area. 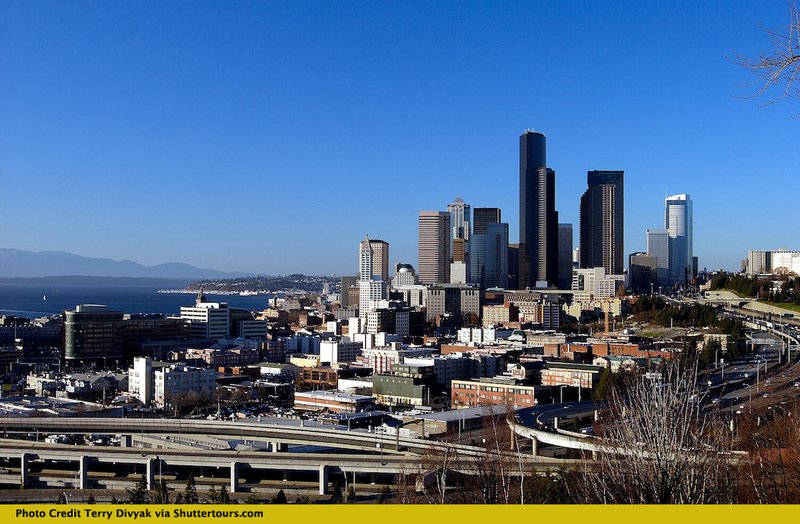 Book a tour with Shutter Tours; we are one of the top things to do in Seattle. You’ll see many of the most scenic and exciting locations in Seattle. 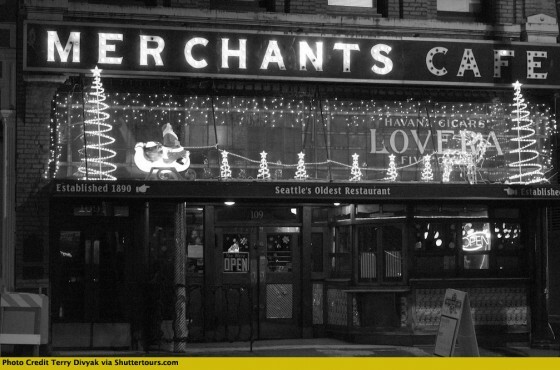 This is one of the locations that many Seattle natives may not even know about. Located about 10 minutes east of Issaquah, Pu Pu Point is the jumping off location for paragliders. 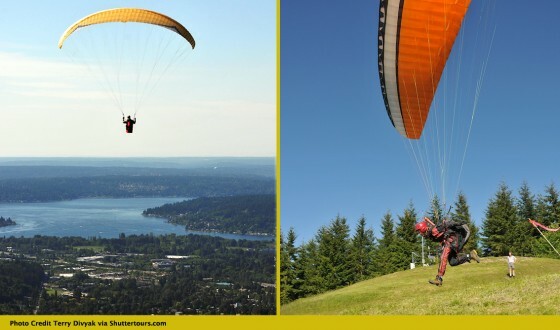 With its breathtaking view of Lake Sammamish and surrounding areas, makes for a great backdrop with the colorful paragliders as your subject matter. This is one of those locations you’ll have to work for, however. It’s is about a 45-minute hike up to a point from the parking lot and has a pretty good elevation gain, so bring water to keep yourself hydrated. Once you arrive, you will want to spend some time sitting and watching the almost delicate ballet of the paragliders as they float on the updrafts. It is not unusual to see 20 or more floating above the point on a beautiful day. First and foremost, you want to stay out of the way of the paragliders. This is a dangerous sport and the fewer distractions, the better for those that are trying to get airborne. You can get a great shot, standing directly behind the launching point. This gives you a terrific background, especially in the mid-morning hours. I also like to stand on either side of the launch pad and use both a wide angle and telephoto lens to capture the action. You’ll need a telephoto lens once they are airborne to get some good closeups. 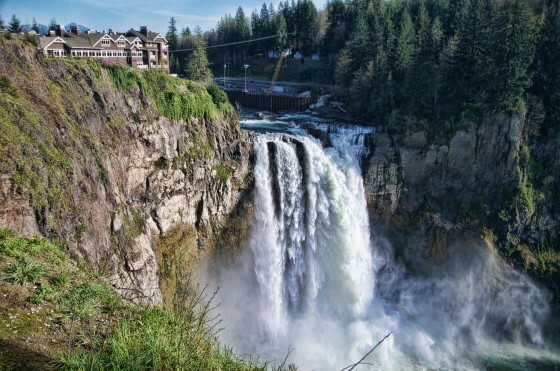 Snoqualmie Falls is one of the most popular attractions in Washington State next to Mt. Ranier and Seattle’s Pike Place Market. About 45 minutes from Seattle, this is the farthest location from Seattle on our list. Rising 268′ from the bottom of the basin, the falls can be captured from the observation deck with a perfect view as the above image by KM Photography illustrates. This was not listed further up the list as it is quite a drive from Seattle, but is worth the effort to get there. The observation deck, about 100 yards from the parking lot is the most popular place to shoot. Setting up a tripod can be a bit of a problem when there are weekend crowds, so go later in the day or on a weekday. As you look at the falls, you are looking East, so the sun will be behind the falls in the morning and illuminating the falls in the afternoon and evening. You can also take a trail to the bottom of the falls. There is a wooden boardwalk that will give you a good vantage point from below. At the bottom of the trail is also the 1910 powerhouse, closed off behind fences, and the river itself. Visitors can leave the band walk on the river rocks to get a better view from the bottom. Be advised that this area floods during heavy rains. Though the Space Needle is the icon for Seattle, I think the Columbia Tower has a much better view on the observation deck, 73 stories up. At nearly 1,000 feet it offers the tallest public viewing area west of the Mississippi. The 360 degree panoramic view includes Mt. Baker, Bellevue, the Cascade Mountains, Mt. Rainier, Elliott Bay, the Olympic Mountains, the Space Needle and the city of Seattle. You may also be happy you paid the $12.50 entry fee vs. the needles $21.00 fee. (If you have the cash, do both however). Your view will be almost 30 miles out in each direction and on a sunny day, you will be happy you made this stop. The observation deck is enclosed and has ample room to walk around, since it is one of the hidden gems of the city and has less people. The view to the north of the Space Needle, makes it look much smaller from this vantage point, as well as a terrific view of Puget Sound. You are pretty limited to this single floor, but there is more than enough to keep you interested. I suggest putting your lens against the glass to shoot, to beat the reflections. Mid to late afternoon is better after the haze has burned off the city. This is easy walking access in the downtown core, located at 701 5th Avenue. You’ll want to take the 2 elevators to the 73rd floor. Ask the security guard at the front desk for proper elevator banks. For another great view of the city, that takes in the Seahawks and Mariners stadiums as well as the skyline, the view from Beacon Hill is outstanding. This is an especially good vantage point to take photos at dusk using a time exposure. The traffic from I-90 merges onto northbound I-5 and can make for a good shot of time exposed car lights. Dr. Jose Rizal Park the earlier the day, the better, as the sun will be at your back for the sunrise and early morning light to wash the buildings with light. Also as stated earlier, shooting at night can allow for some great time exposures. 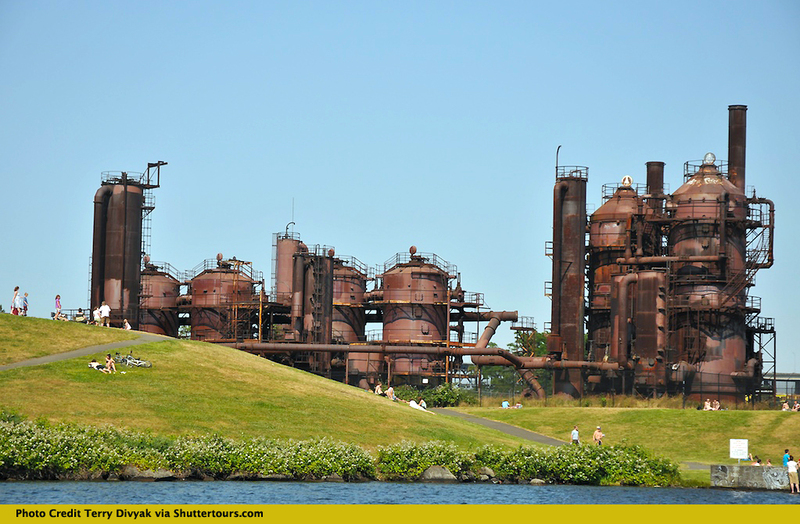 Gasworks park is one of those great locations that can keep you busy for hours while shooting. It’s a nice place to shoot your loved ones or an aspiring model with it’s multiple vantage points of the city as well as the park itself. This 20 acre point on Lake Union was cleared in 1906 to construct a plant to manufacture gas from coal – later converted to crude oil. Import of natural gas in the 1950’s made the plant obsolete. The city acquired the site for a park in 1962. The park was opened to the public in 1975. The boiler house has been converted to a picnic shelter with tables, fire grills and an open area. The former exhauster-compressor building, now a children’s play barn, features a maze of brightly painted machinery which is great for shooting friends and family. This is one of those locations that you’ll want to explore. My favorite vantage point is from a boat (Ride the Duck) as well as the children’s play barn, which is not just for children. Being that i’s a 20 acre park, you’ll lots of places to shoot. There is also a great view of Seattle, from the North end of Lake Union. A library sounds like one of the last places you would want to go to take photos, but not so with the Seattle Central Library. 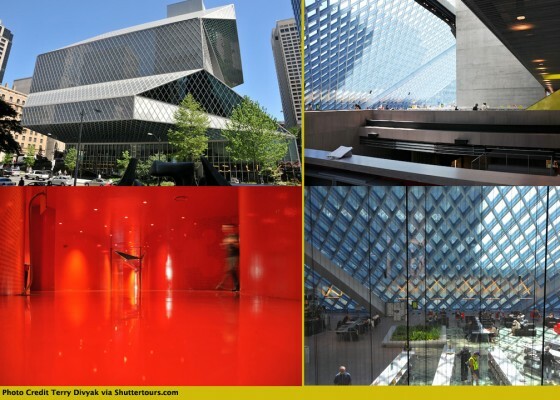 Designed by Rem Koolhaas, the library was voted #108 on the American Institute of Architects’ list of Americans’ 150 favorite structures in the US. The library has an open air feel to it on the main floor and at each turn, there is something new to photograph. Walking into the main floor, you almost feel as if you are on the deck of a mother ship in some futuristic movie or in the middle of a big glass iceberg. I always ask permission to shoot from the librarian, before I begin. This is more a formality and I have never been told no, but they appreciate those of us that ask. Tripods and lighting kits are not allowed unless you want to pay about $400 per hour, because they consider it a professional shoot. Starting at the main floor, the bright fluorescent yellow escalator is a good place to start. Continue on up to the fourth floor and you’ll see a lipstick red corridor that looks like it could be the heart of the library. I have spent a good half hour in this area creating all kinds of sci fi looking images. Experiment with putting your camera on the floor and shooting wide angle shots. It’s also a great place to create some images to use as textures in Photoshop. Work your way up the spiral walkway to level 10, which opens up into a 12,000 sq. ft. reading room bathed in light. 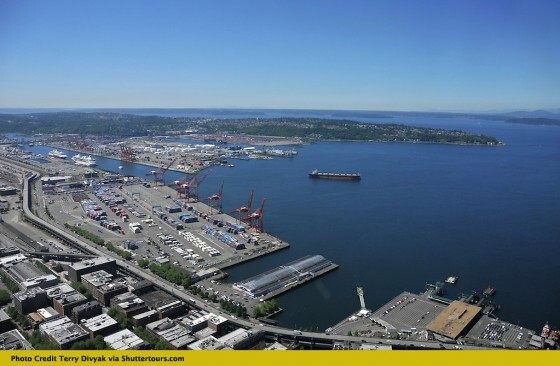 Here you will have a good view of Elliott Bay and more than enough to shoot with the 40′ ceilings and modern furniture. Pioneer Square is what Seattle may have looked like 80-100 years ago. Many of the old buildings are still there and it is rich in textures and architecture. I would allow at least 1-2 hours to explore the area that includes art museums, restaurants, and Occidental Park. I like to wander through Occidental Park. A few of the highlights include the Fallen Firefighters Statue dedicated to four firefighters who died in a 1995 warehouse fire in Chinatown. Totem Poles and other areas like the Bocci Ball court can be of interest as well. When you walk through the cobblestone area of Occidental Park, by the art galleries, be on the lookout for Glasshouse Studio where glass artisans create their art. You can take photos as the artist blow glass and create some amazing pieces. Be careful in the gallery when wearing a camera backpack. You don’t want to have your backpack catch a shelf and knock off an expensive piece. Probably the most photographic area is 1st Avenue and on the corner of 1st and Yesler is the Pergola. This was an ornate shelter designed for those waiting for the cable cars to arrive. A few years ago this was damaged by a truck and was rebuilt to the original plans. It is usually a spot where homeless people hang out, but this can add some character to your photos. At this location, you can also see the totem pole that was stolen from the Tlinget tribe in Alaska by members of the Seattle Chamber of Commerce in 1899. The Seattle Center is a location you can spend a great amount of time in. With the EMP, Space Needle and various fountains and architecture, you’ll have great fun exploring the center grounds. First, you’ll probably want to take a ride up to the top of the Space Needle. You can get a good shot of Puget Sound and the surrounding skyline. This will also allow you to get your bearings so you can plan your walk through the center. Once you get that out of the way, start shooting around the Space Needle. Keep the sun at your back to get your best shot and then start looking for different angles and framing opportunities. The photo above, I was shooting from the North side of the EMP, waiting for the monorail to leave. This way you can combine a number of elements of Seattle. The Monorail, EMP and Space Needle all in one shot. There is also another spot, on the east side of the EMP where the monorail comes out. This creates a great futuristic shot of the monorail. Kerry Park is probably the most picturesque location in all of Seattle. Having a combination of the Space Needle, skyline and Mt. 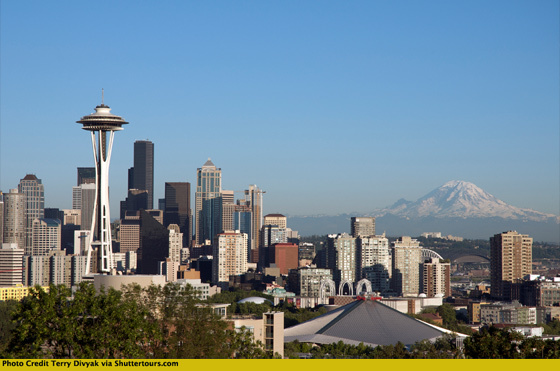 Rainer as its backdrop, you are sure to come away with a fantastic photo. There really is only one location to shoot from here. The park is only a couple of acres, but I find the best vantage point to be to the far right as you are looking South. Sunsets are the most dramatic and I would suggest you get there an hour before the sun sets to get a good spot. This is a photographers haven and it is not unusual to see 20-30 tripods lined up as everyone stakes their claimed spot. 10 million people cannot be wrong, Pike Place Market is the most popular place to visit and I think the most interesting to photograph. Thus, it is number 1 on the list as it has more to see than any other place we have on the list. From the market vendors to the buskers, it is a photographers dream. I could probably go on for hours about where to shoot, but will give you some of the highlights. First, the vendors are used to having cameras around and shooting within the market are is probably your first option. The Pike Place Fish Market is what everyone comes to see as they throw the fish and entertain the audience. There are two spots I like to shoot here. The green pole to the left of the stand (see photo above) is a good vantage point to get the fish stand, employees and gawkers in the frame. If you stand there long enough, you can see them throw a salmon or two as well. Also on the far right hand side of the stand towards the back, you have a good view of the fish laid out. The only challenge is metering with the light in the background, so you’ll want to overexpose a half to 3/4 stop or pop a flash to illuminate the foreground. Once you get outside of the market, you’ll see the musicians and performers called “Buskers”. They are there to entertain and do not mind having their photos taken. For most, this is their only income, so be kind with tips while taking photos. On our tours, we make it a point to tip as we bring a group of people to shoot. Don’t be afraid to get close, either with your telephoto lens or stepping closer. You want to frame in closer to capture the personality of the performers. Even look for details like the hands of the musicians or details of clothing or instruments. I know I missed a large part of the city like the West Seattle, Ballard Locks, the Arboretum, University of Washington Campus and other notables. So if you have other favorites, please share them here and maybe we can create a second list of favorites for those visiting the city. Seattle’s Top Photo Places to help you with your trip to Seattle. We have designed this book with ease of use in mind. Each location can be printed off so you can plan your day with information including location, Google Maps link as well as links to flickr.com images from each location. 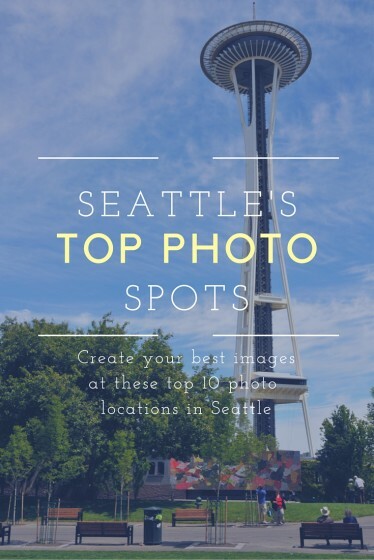 Check out our book “Seattle’s Top Photo Spots” Available in .pdf format and compatible with most devices..
Our book above has over fifty pages with tips, locations and more things to see on your trip to Seattle. 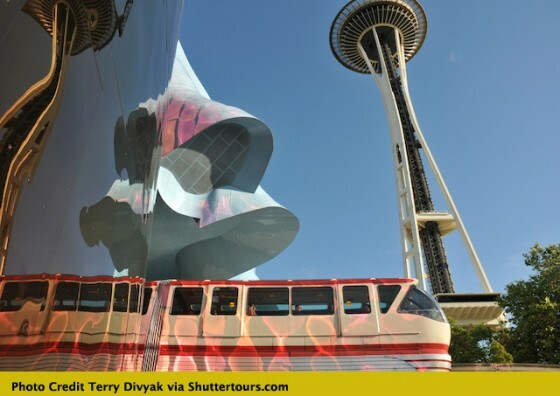 This entry was posted in Seattle Info, Tours and tagged Hiram Chittenden Locks, kerry park, photo, pike plac, Seattle, Seattle Locks, Snoqualmie Falls, top 10, tour. Bookmark the permalink. 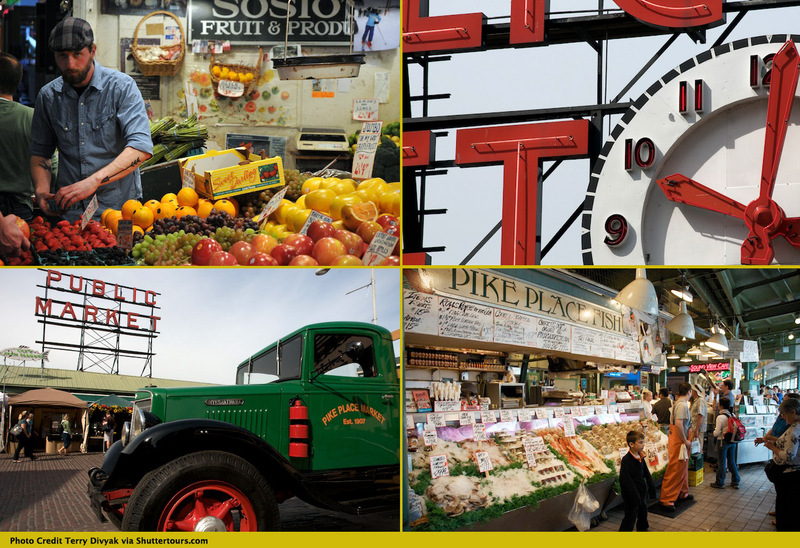 16 Responses to Top 10 Places To Take Photos In The Seattle Area. I went to Fremont today and got some great pictures as well! I cannot thank you enough for these suggestions. I just moved to Seattle and do photography for pure fun. Esteban, thank you for your comments. 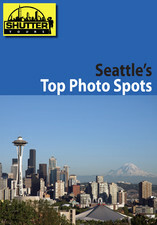 We have just submitted a book title Seattle’s Top Photo Spots to the Applestore and should be available on the iPad in the next few days. This is a 54 page book full of great locations for you to explore. We also offer it on our website in a .pdf format. what are the best sunrise locations to shoot from in seattle and north in your opinion. Looking for high spots, water in view? Mount Rainier ? Lowell.. Kerry Park would be the perfect spot for the iconic shot of the city with the Space Needle and buildings in the foreground and perhaps Mt. Rainier in the background on a good day. Two other options are in West Seattle, Belvedere Park and also Seacrest Park. Spots for sunsets on the Eastside? The Sculpture Park is a great location to take pictures for both backdrop and professional/portion shots! Awesome article! I also love Alki Beach. 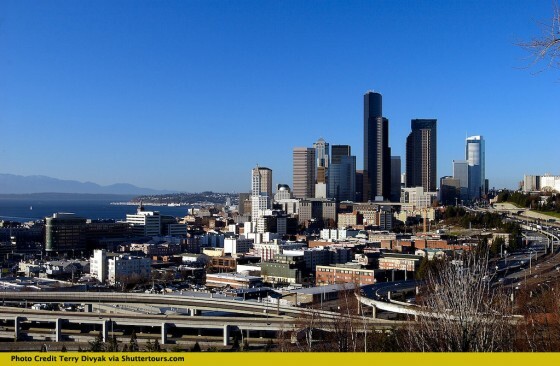 Has a great view of Downtown Seattle. is this book available through the mail? When i click on the link it says forbidden error.